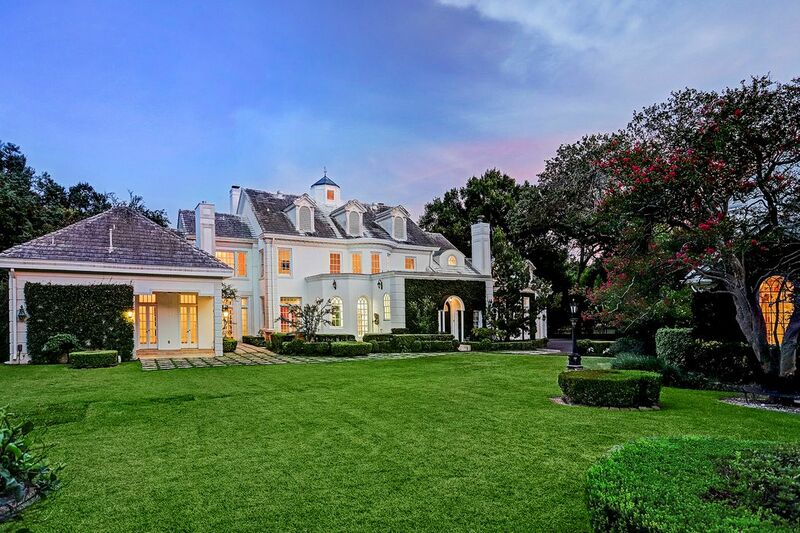 4 Remington Lane, Houston, TX 77005 | Martha Turner Sotheby's International Realty, Inc.
Steeped in history, this magnificent 1922 Birdsall Briscoe home rests on .83 acre of verdant grounds lush with an immensity of aged greenery in the prestigious subdivision of Shadyside. 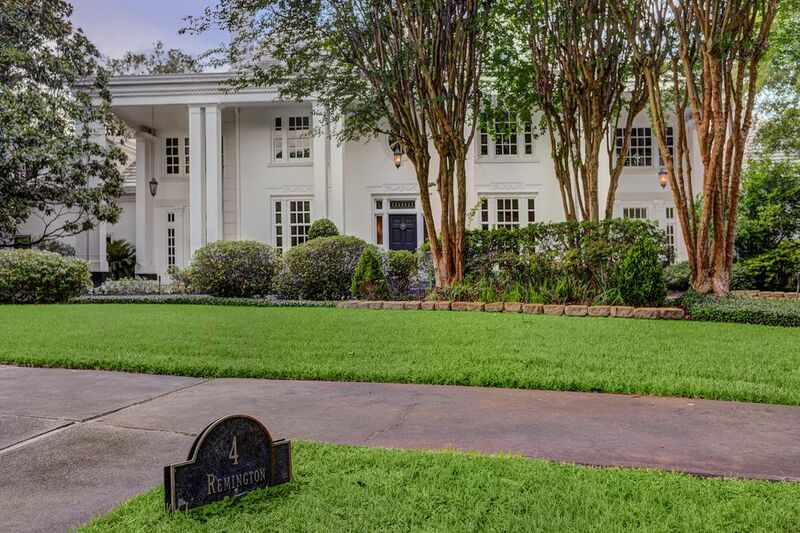 The vintage Briscoe feel is enhanced as the front porch graced by a soaring ceiling and Antebellum-flavored columns introduces the captivating estate. 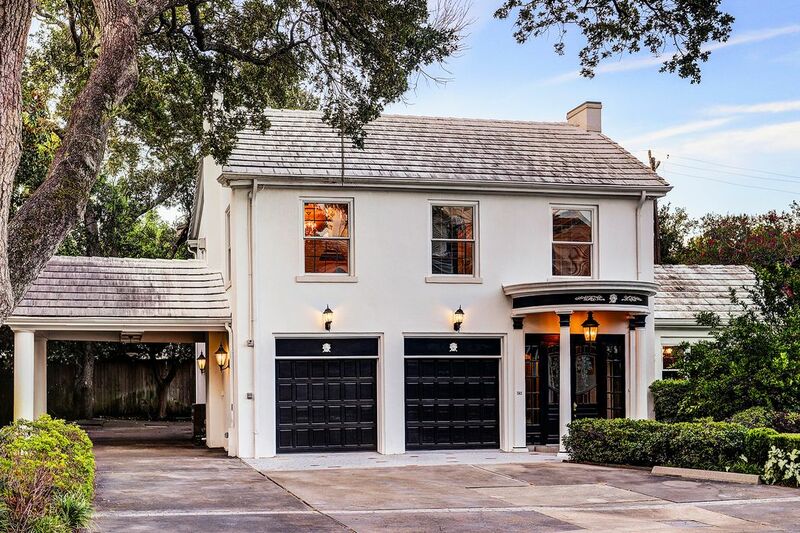 Beyond the sweeping grounds, this 1922 masterpiece gently combines timeless architecture and elegance into a refined blend of beauty and historic stateliness. 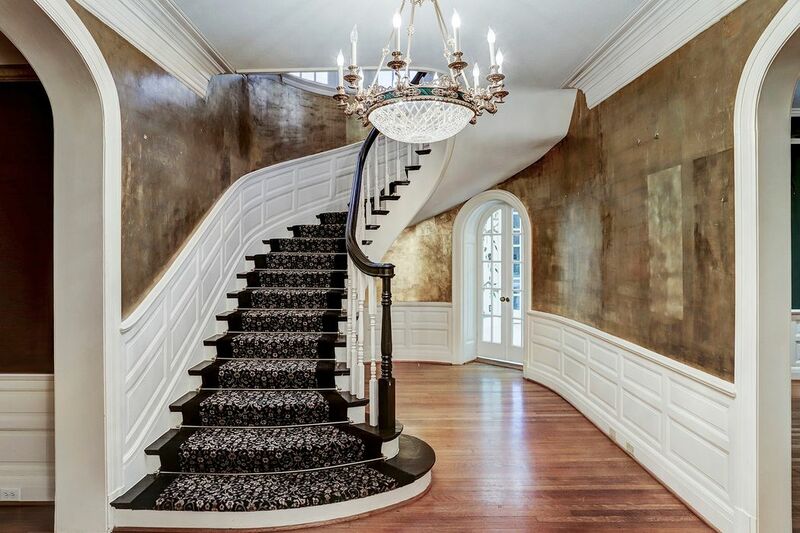 Stunning stair hall showcases the breathtaking staircase that maintains the theme of grandeur with its heavily blocked wainscoting and substantial multi-piece molding. 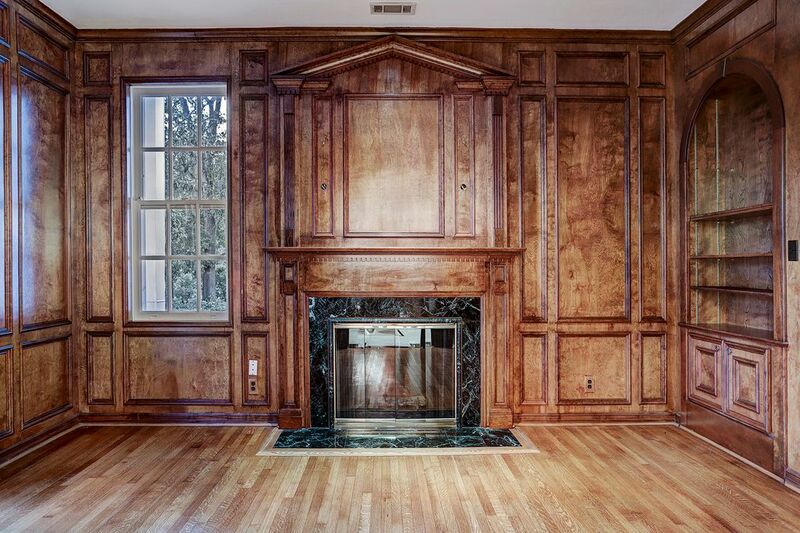 Engulfed by rich mahogany paneling, the dramatic library continues the inspired architecture of the home with its deeply veined green marble surround fireplace and views of front porch and grounds. 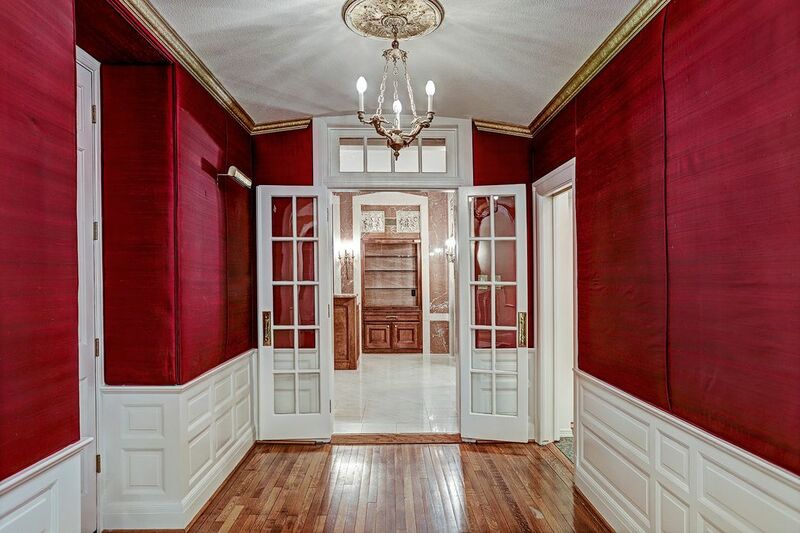 The vestibule leads to the bar that is introduced by French doors adorned by transom window. 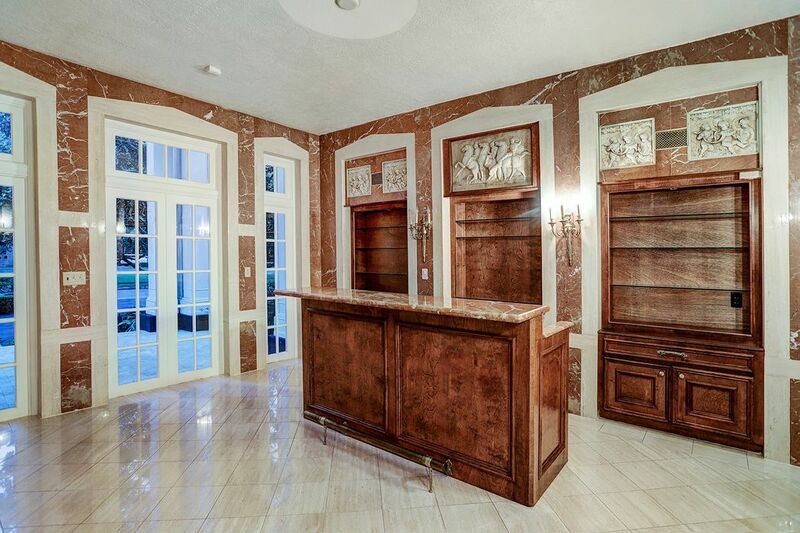 Cloaked in stunning marble walls, a bar is the focal point of the ornately dressed room where wine storage and handsome bookcases anchor the room replete with stunning views of the expansive front porch. 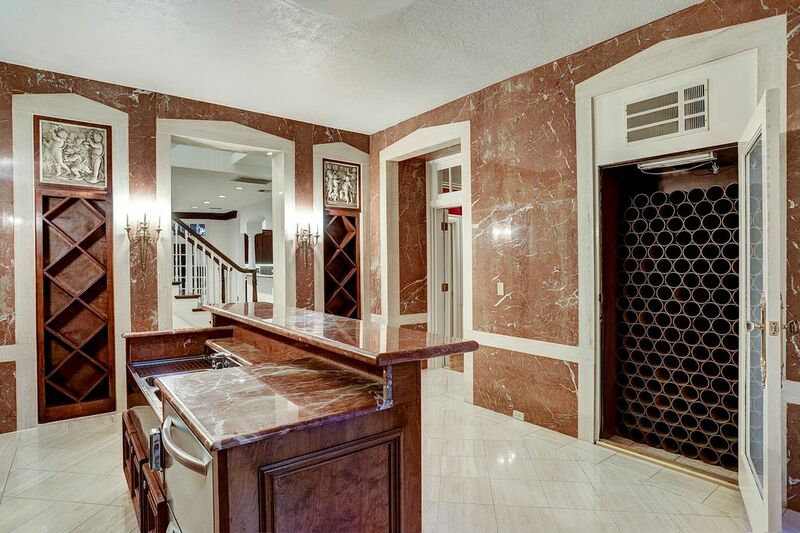 Bar unites with the vestibule and family room. This inviting room is ideal for conversation-centered entertaining. Stately black marble surround fireplace serves as the center of the formal living room. Detailed architectural purity is crucial in defining its beauty. Spectacular formal living room anchored by black marble surround fireplace. 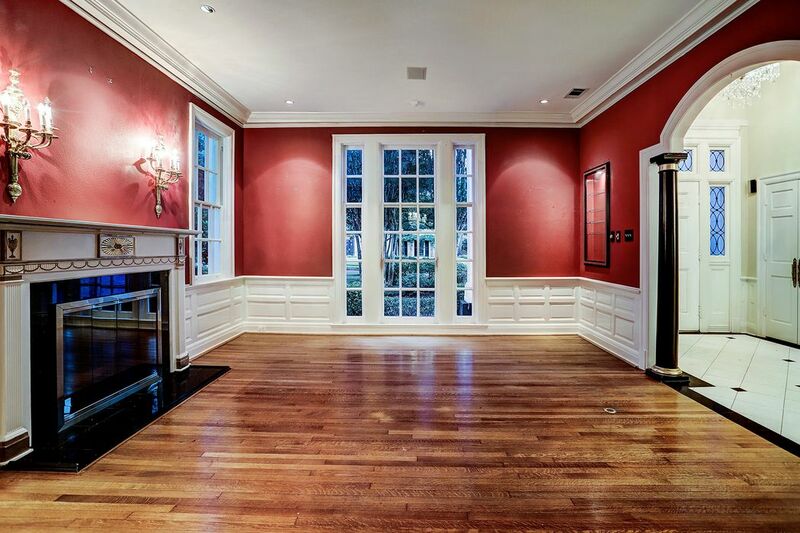 Exquisite millwork distinguishes the room where floor to ceiling windows provide serene vistas of the front grounds. 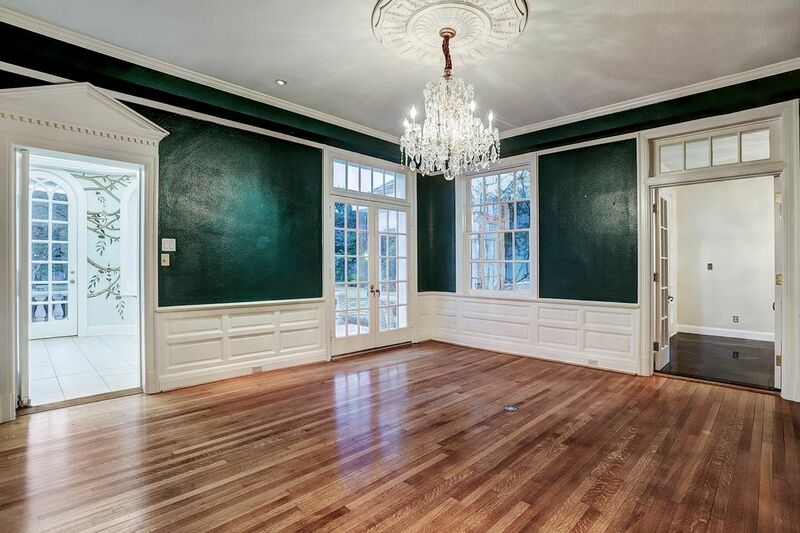 The gorgeous dining room is enriched by its gleaming hardwood floors, multi-piece molding, substantial blocked wainscoting and uniformity of arches uniting with the entry and vestibule. Epitomizing formal elegance, the light-filled dining room is empowered by an exquisite chandelier and rich millwork as it seamlessly flows to the enchanting breakfast room. Black marble floors anchor the view-filled morning room that doubles as a sitting room for the secluded master retreat. 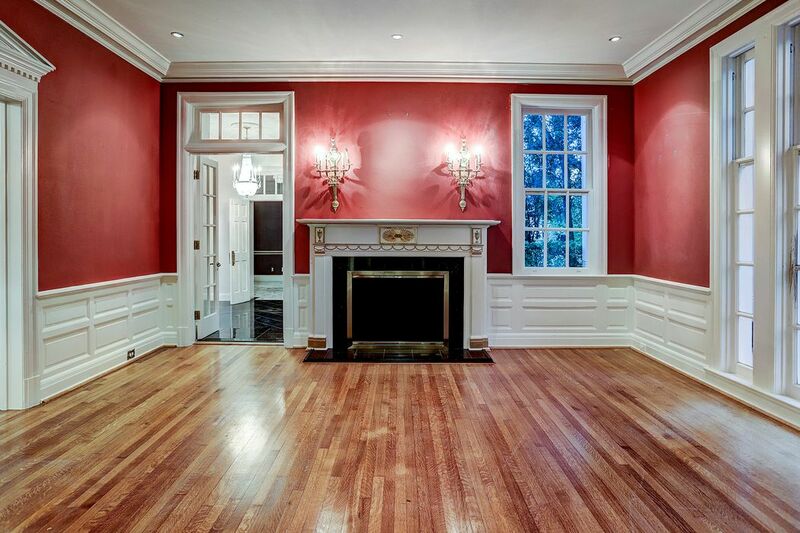 Note the abundance of transom windows used to heighten its appeal. 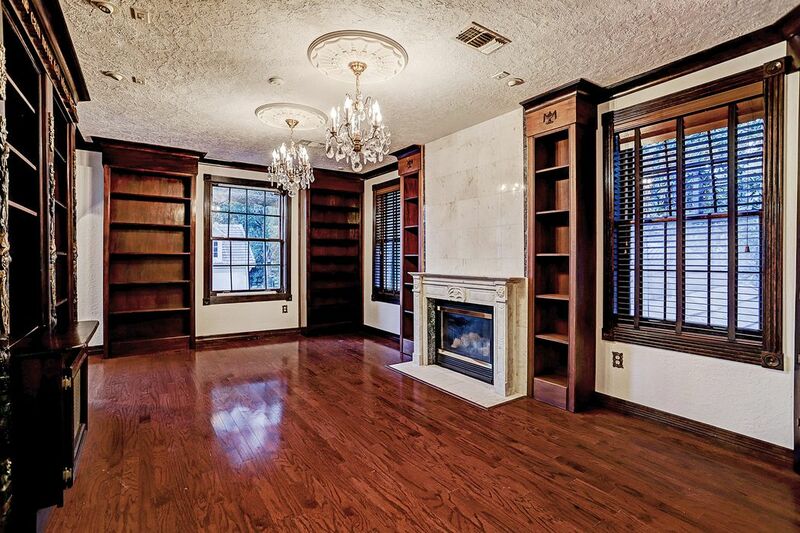 The master bedroom is approached by this private area that has built-in bookcases, mini fridge and sink. Perfect for a coffee bar. 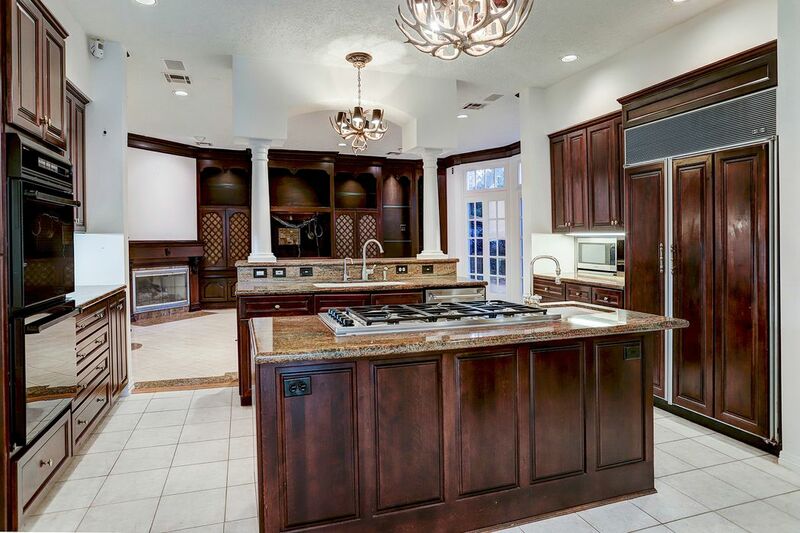 The kitchen features granite island with 6 burner Dacor range, SubZero refrigerator/freezer and professional appliances. 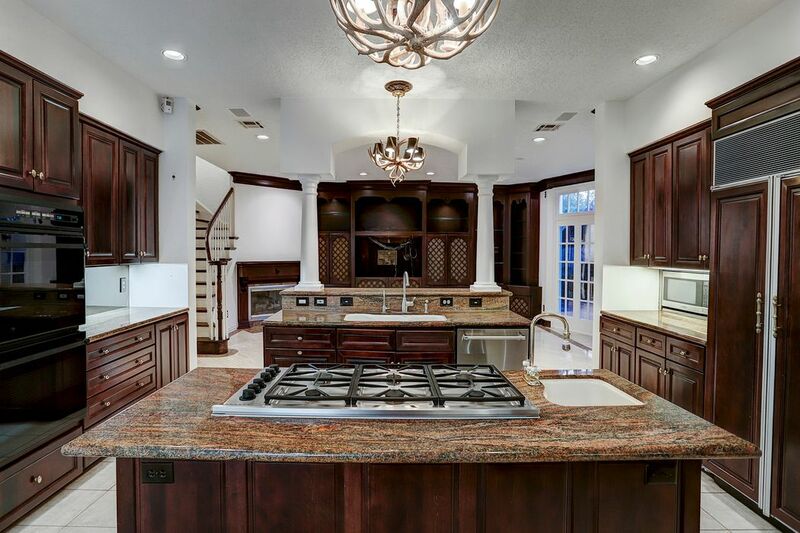 Interconnected by columns and granite serving bar, the kitchen features dual antler chandeliers and tastefully combines traditional entertaining with ample space for gathering of friends and family. 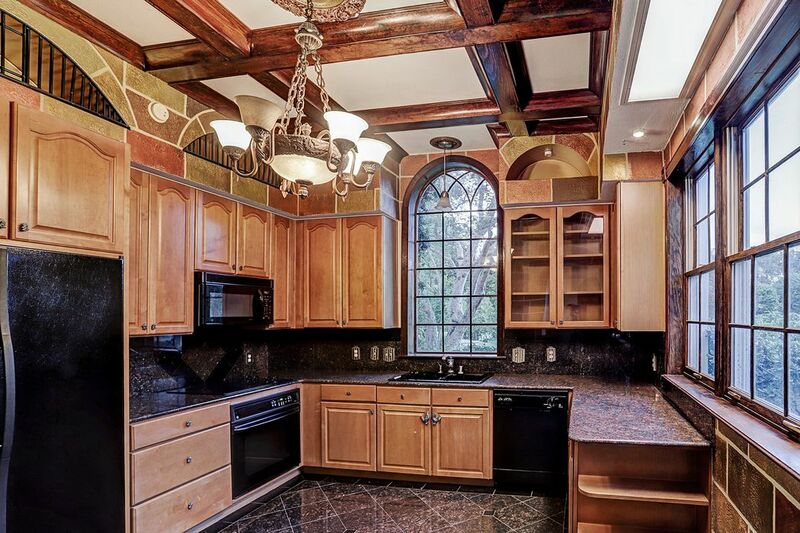 The kitchen has private butler’s pantry, large walk-in pantry and granite study hub. Distinctive living spaces continue as the family room is sited to incorporate a stunning secondary staircase, fireplace and wall of transom adorned bay windows yielding a bright and airy atmosphere. 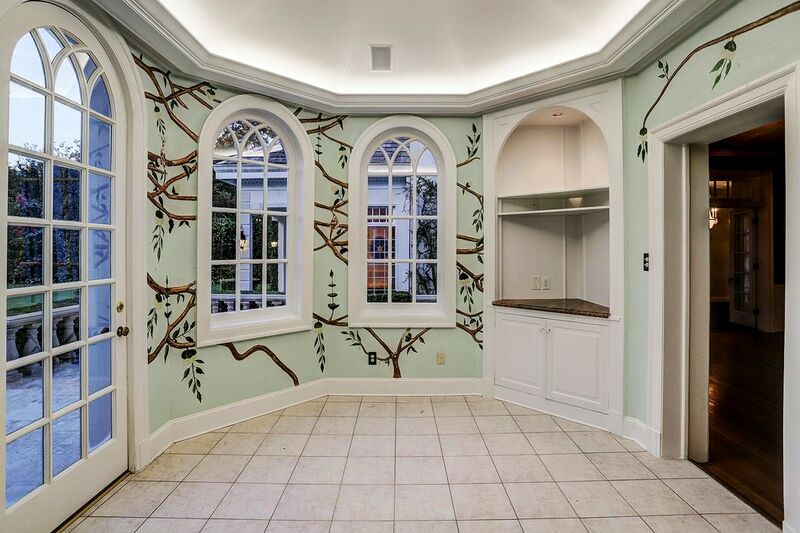 Nestled against the dining room, the enchanting breakfast room has access to the balustrade framed patio. 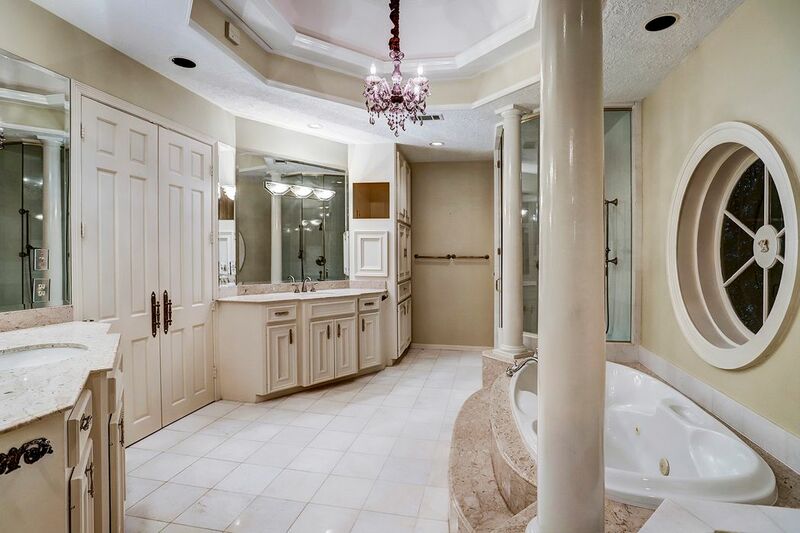 Twin double doors lead to the luxurious master bath boasting stone counter tops and flooring, a column-framed Jacuzzi tub, large multi-head walk-in shower and dual vanities. 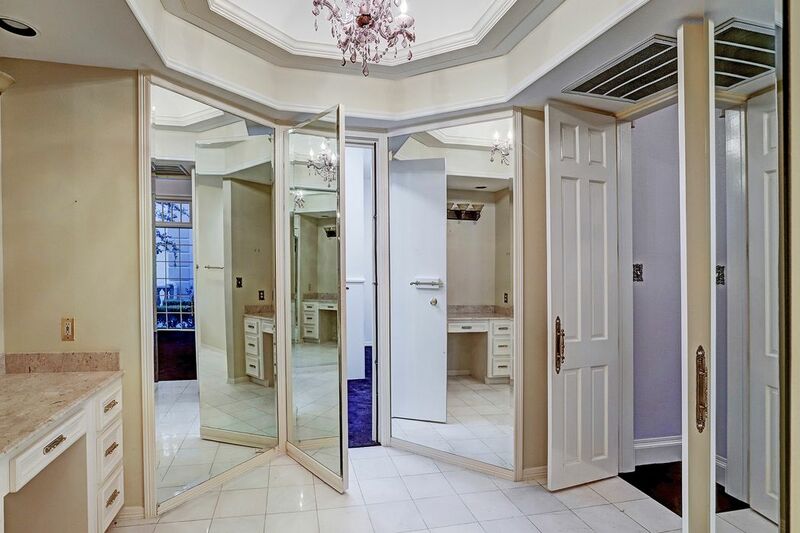 The lavish bath amenities continue with make-up station, private water closet, additional sitting area, four full length mirrors and large walk-in closet with ample hanging rods, great organization possibilities and center island with 24 drawers. 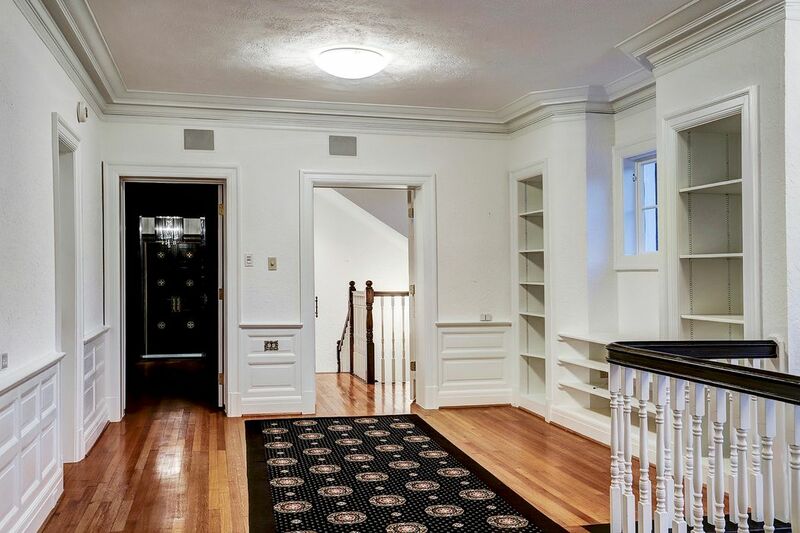 Specialist wall finishes continue with the substantial blocked wainscoting in the upstairs English library landing that leads to third floor that is perfect for a hobby room. 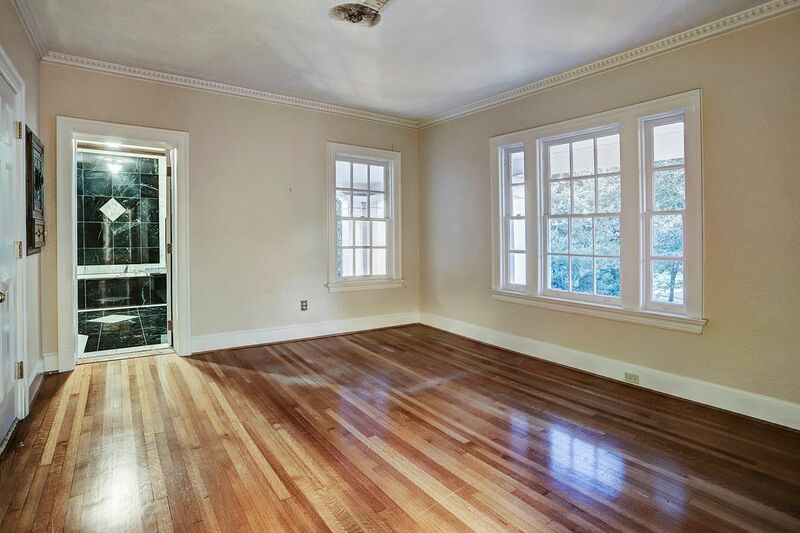 Generous size secondary ensuite bedroom anchored by gleaming hardwood floors. Divided light windows employ beautiful treetop views. Treetop view of front grounds is imparted by the sparkling divided light windows. Beautiful green marble ensuite bath. The Writer’s Cottage is a thing of beauty as it continues the inspired architecture with superior craftsmanship. 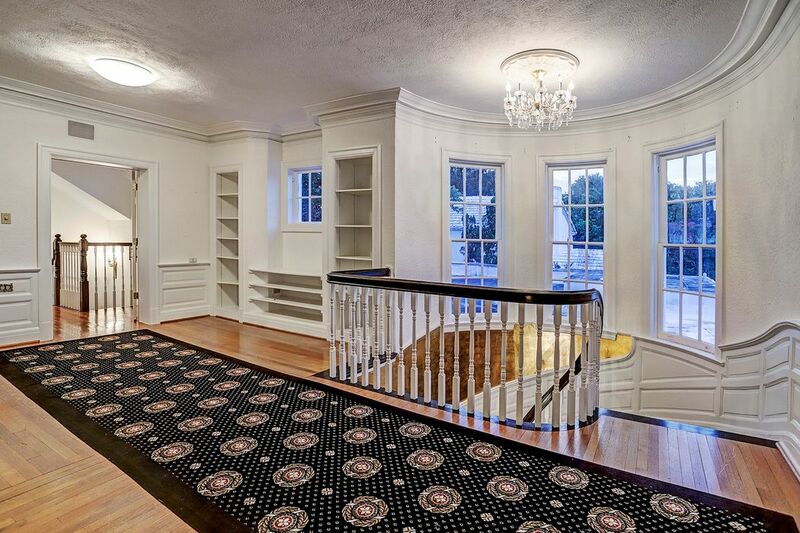 A winding staircase leads to a living room with fireplace, library, reading room, & ensuite bedroom. There is a full kitchen. A curvilinear staircase with decorative iron balustrade serves as the focal point of the stunning black marble entry in the Writer’s Cottage. 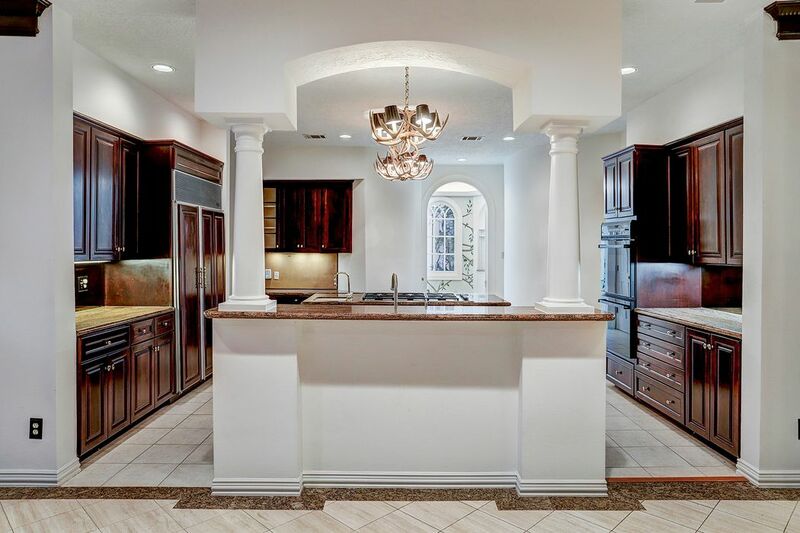 The cottage is complete with a kitchen that features granite counter tops, tile backsplash, fabulous boxed ceiling, custom cabinetry, marble flooring, two compartment sink, four burner range, oven, microwave, refrigerator and dishwasher. 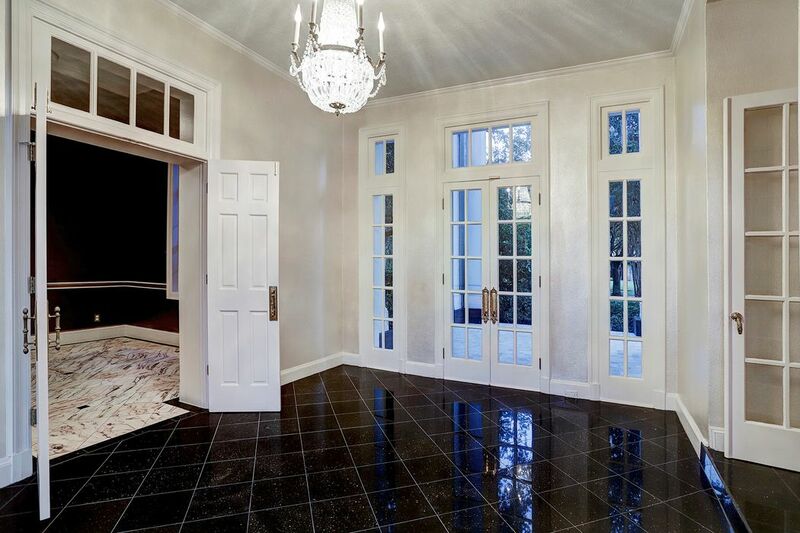 A blend of timeless design and understated elegance embrace the cottage where aged mahogany double glass doors open to the foyer adorned by scrolled beam ceiling and black marble floor with contrasting marble inset. Beautiful living room empowered by dual crystal chandeliers, is replete with wood burning fireplace, rich book-lined built-ins, triple divided light windows and hardwood floors. 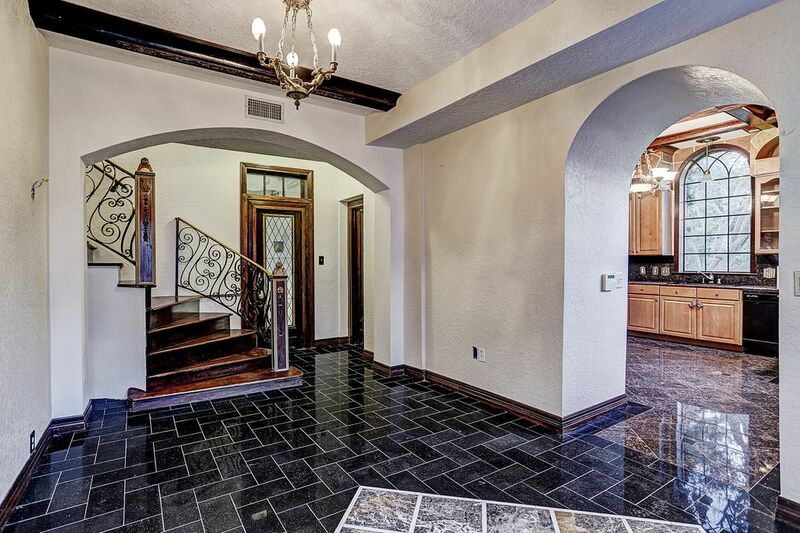 Exquisite finishes continue in the living room with its ornate crown molding and uniformity of arches. It interconnects with the ensuite bedroom, library and study. 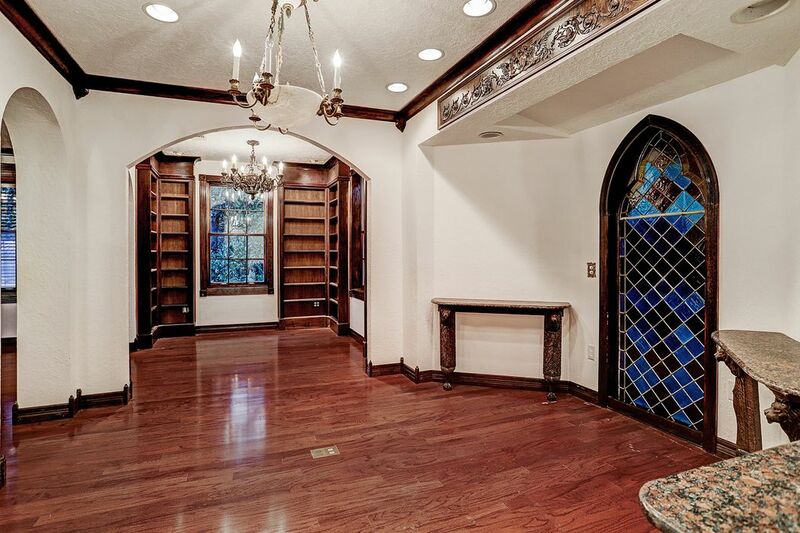 A storybook appeal is created as the reading room and study effortlessly unite showcasing a stained glass window and luxuriously dressed mahogany bookcases. 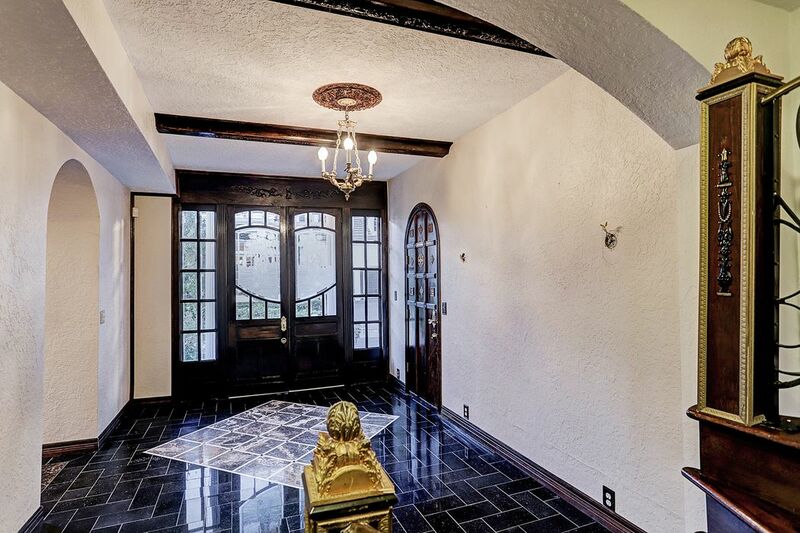 A hint of magic is sensed as one enters the Writer’s Cottage that has a marble clad entry where arched hand crafted doors and curvilinear staircase serve as it focal point. 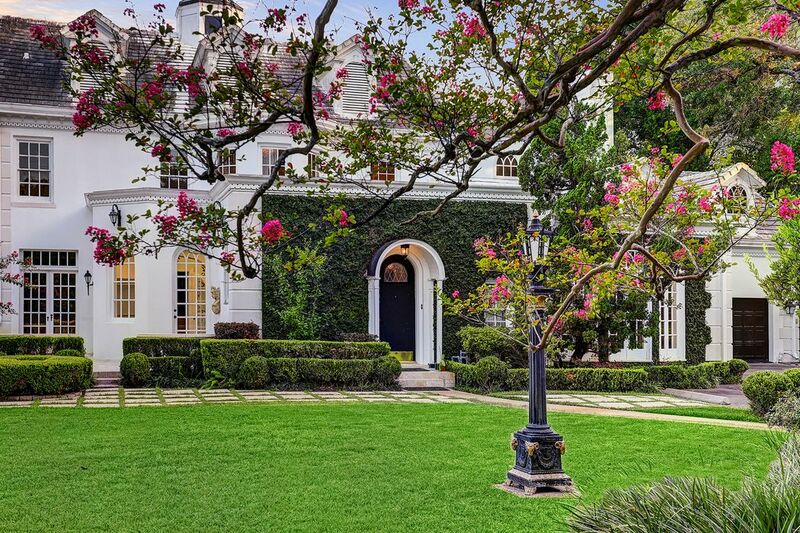 Typical of the genius of architect, Birdsall Briscoe, the exterior of the home is equal in beauty to the front. Walls of windows are incorporated to embrace stunning views in every direction. 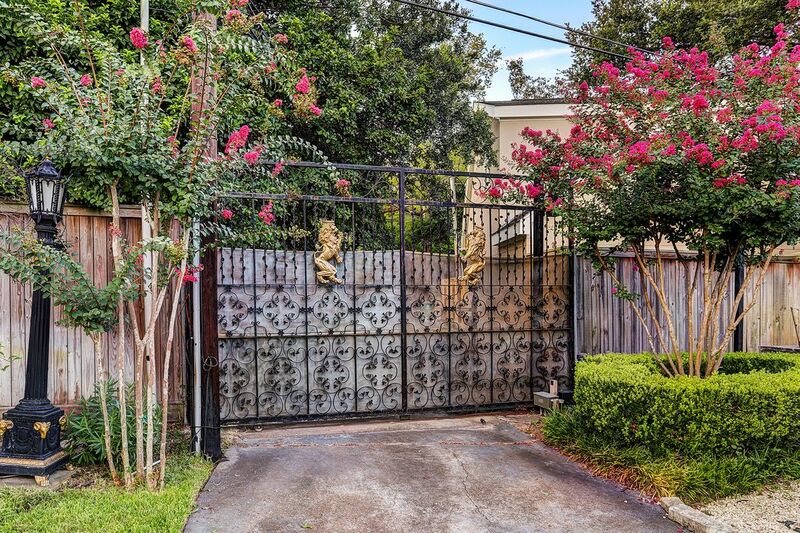 Ornate gate lends privacy to property. There is a 5 car garage . 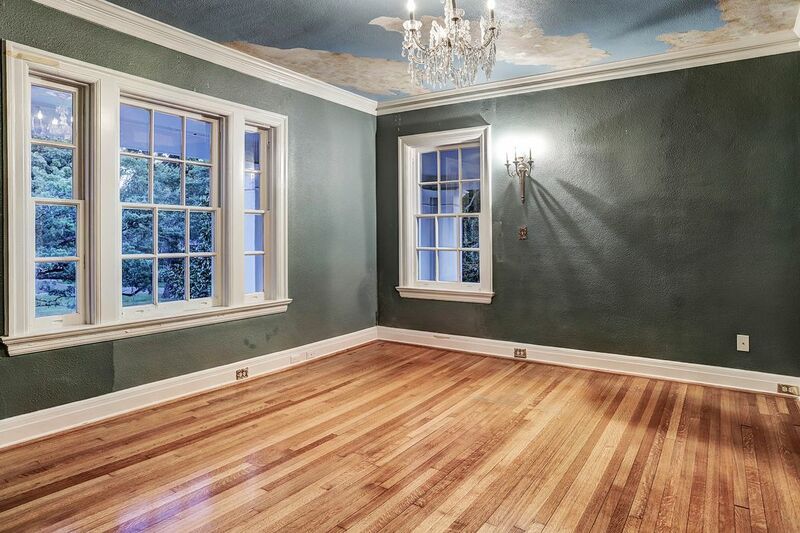 The tone of the property is set by this breathtaking display of the majesty of the home. An abundance of original hallmarks remain. Feel of an English garden provides compelling views from the patio and private veranda off the master bedroom. Alluring outdoor spaces encompass the parkland grounds. Privacy gate provides access to 4 Remington Lane that is one of 16 homes in the walled subdivision of Shadyside. 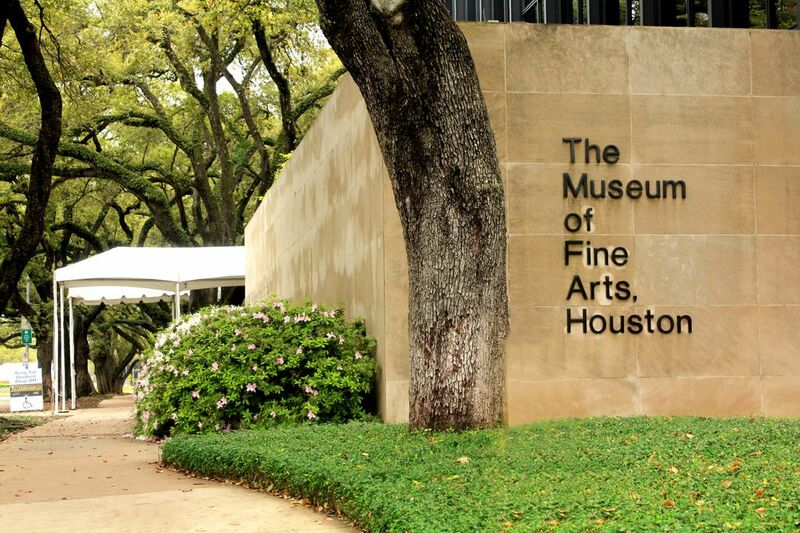 Each home embraces timeless architecture while The Houston Museum District and Rice University serve as its backdrop. Majestic splendor abounds in this Birdsall Briscoe masterpiece. 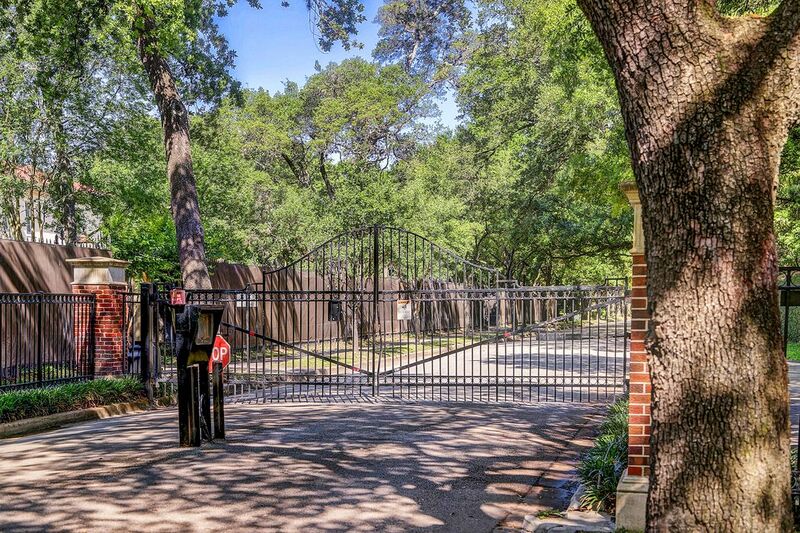 Grounds peppered with mature oak trees and brilliant architecture impart that this is a rare opportunity to own one of Houston’s finest homes. 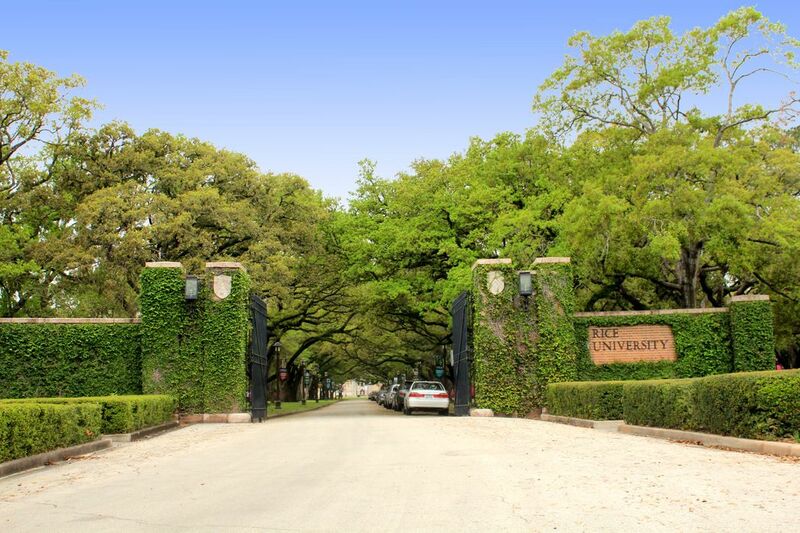 The beauty of the renowned Rice University campus adds to the appeal of the Shadyside neighborhood. 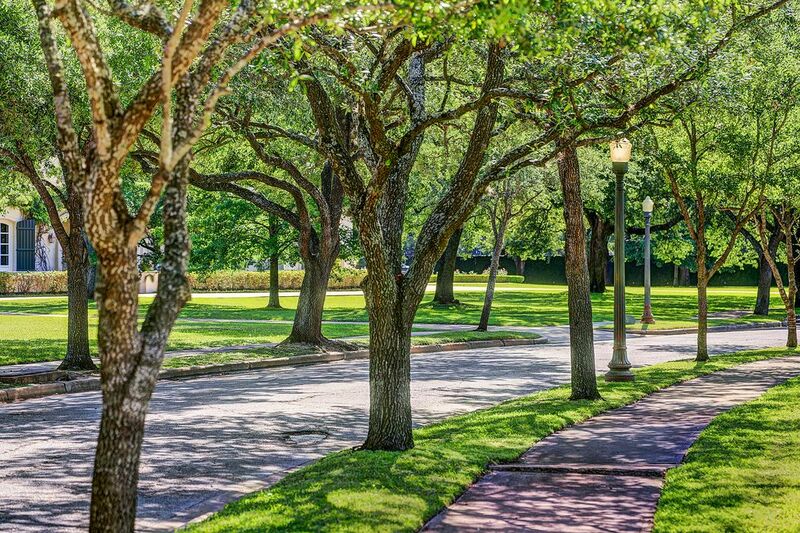 With being Houston being known for its outstanding Museum District, it is an added bonus to be within walking distance of the coveted area. 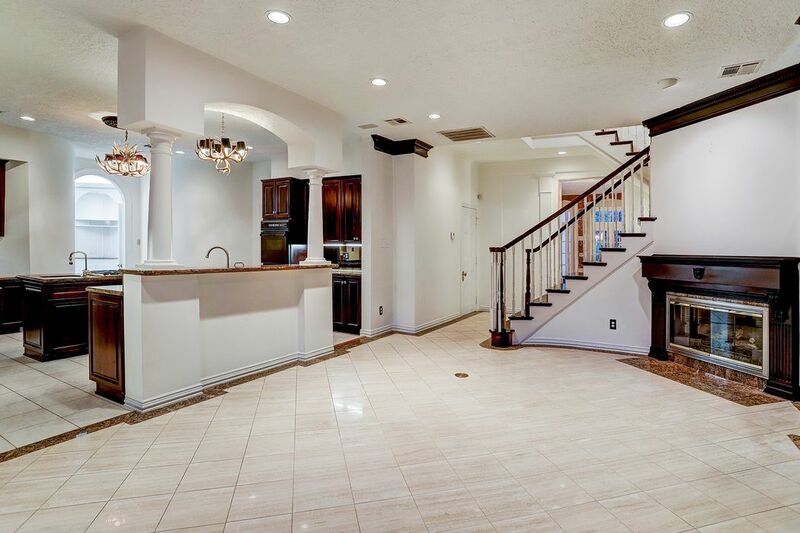 $4,950,000 5 Bedrooms5 Full / 1 Partial Baths8,416 sq. 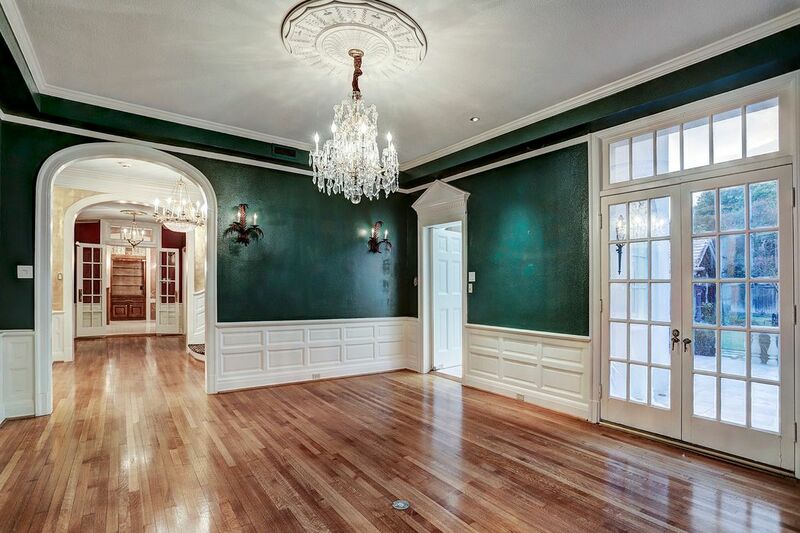 ft.
Steeped in history, this magnificent home rests on approx. .83-ac. of verdant grounds lush with an immensity of aged greenery, in the gated and walled subdivision of Shadyside. 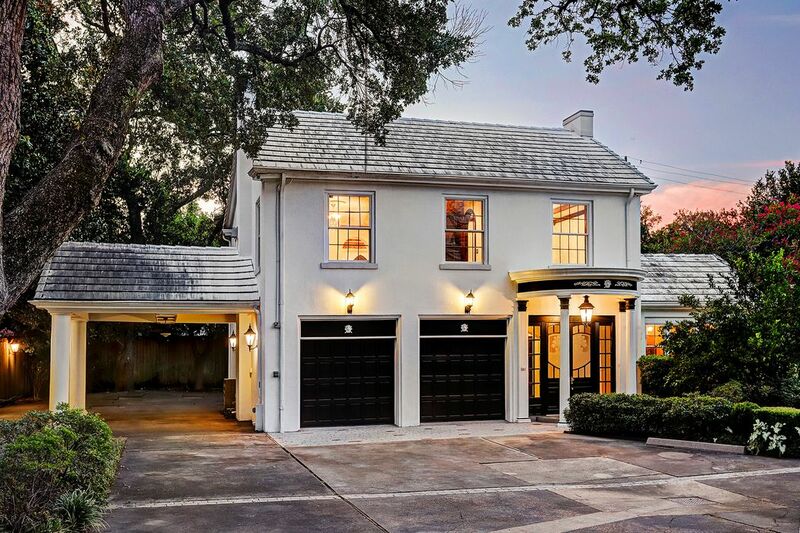 Timeless architecture embraces each of the 16 homes exclusive to the neighborhood where Rice University and the Houston Museum District serve as its backdrop. 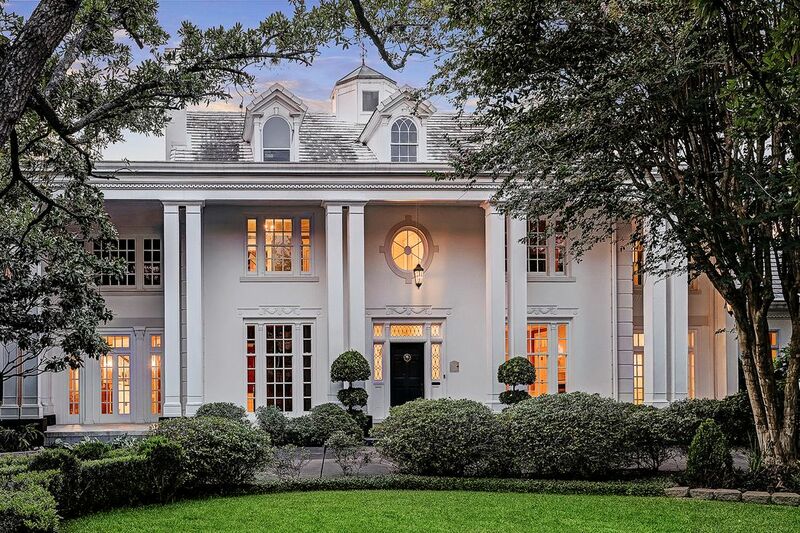 Imposing yet gracious, this 1922 masterpiece designed by renowned architect, Birdsall Briscoe, is engulfed in architectural purity as it blends grandeur and inspiration at every turn. 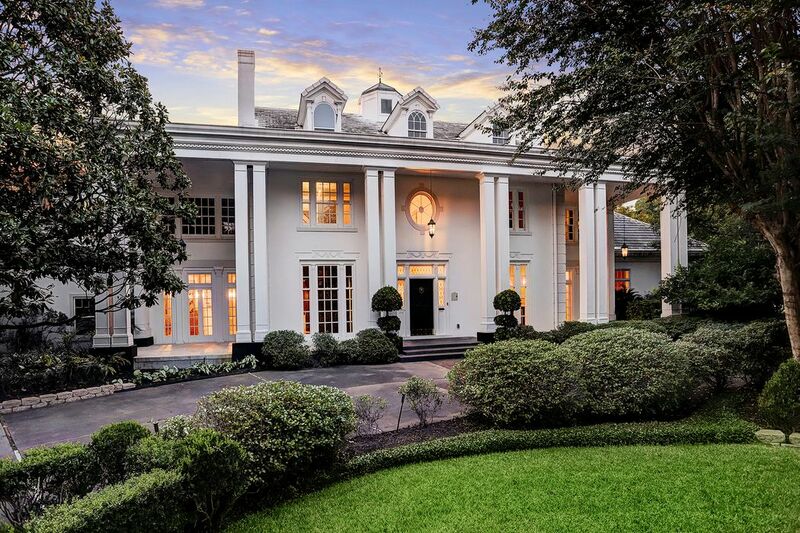 The vintage Briscoe feel is enhanced as the front porch graced by a soaring ceiling and Antebellum-flavored columns, introduces the majestic estate. The breathtaking entrance hall and stair hall artfully interlace the impressively proportioned rooms that are distinguished by lavishly detailed millwork. The living room boasts a stone surround fireplace and banks of windows yielding gorgeous views of the impressive front porch and circular drive. Epitomizing formal elegance, the dining room is empowered by an exquisite chandelier as it seamlessly flows to the breakfast room that has access to the balustrade framed patio. The mahogany library is replete with green marble surround fireplace while the bar cloaked in stunning marble walls, is an ornately dressed room that is ideal for intimate entertaining. The sun-lit family room interconnects with the kitchen which features professional appliances, private butler’s pantry and granite study hub. An elegant sitting room introduces the master retreat that boasts a veranda showcasing the picturesque rear grounds. 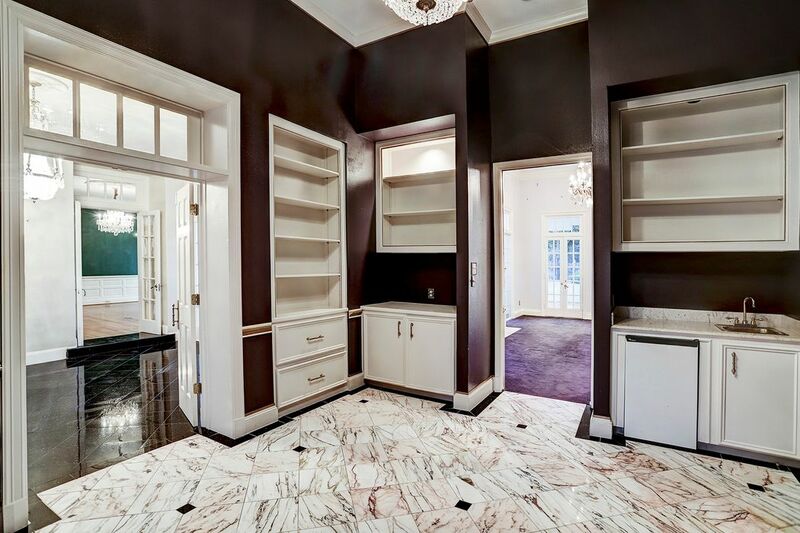 Luscious bath and large walk-in closet accompany the suite. 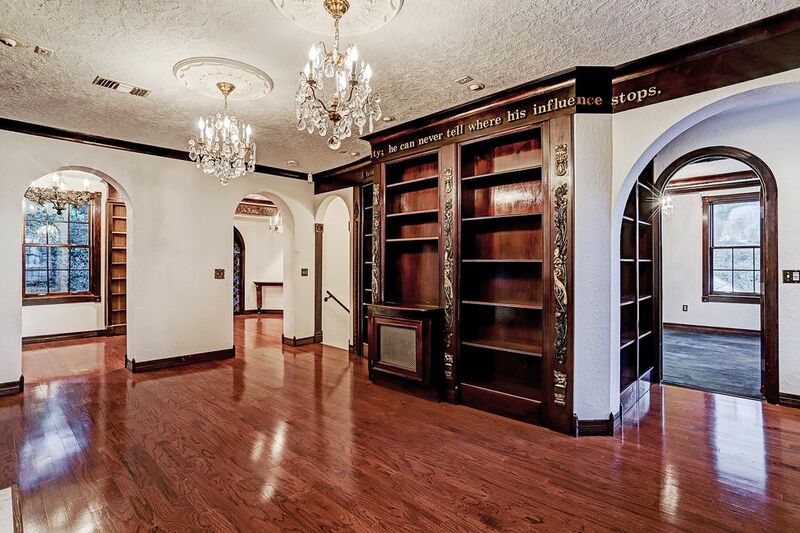 An English library landing unites 4 bedrooms with lavish en suite baths. A large hobby room is on the third floor. The writer’s cottage continues inspired architecture with marble entry, curvilinear staircase, living room, reading room, study, bedroom, 2 baths and kitchen. There is a porte cochere, basement and 5-car garage.